Farewell Barbara and Ian, hello Steven. Synopsis: The Daleks chase The Doctor through time and space. After a repeat of the finale of the previous story, we get a piano introduction that feels like it came out of Mr. Dressup. 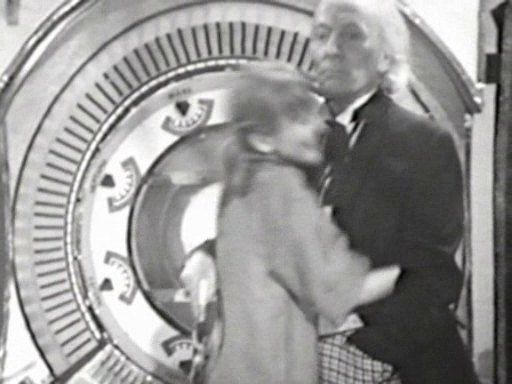 The episode opens with The Doctor tinkering with a “Time-Space Visualizer,” trying to get it to work. Essentially it’s a TV that shows images from any time and space. Ian suggests they watch Lincoln’s Gettysburg address, while Barbara wants to watch Elizabeth I and Shakespeare who The Doctor will eventually meet again… and marry one of them, too. With the exception of a few seconds of “Ticket To Ride,” it’s 11 minutes of useless garbage at the beginning of the a six-part story. 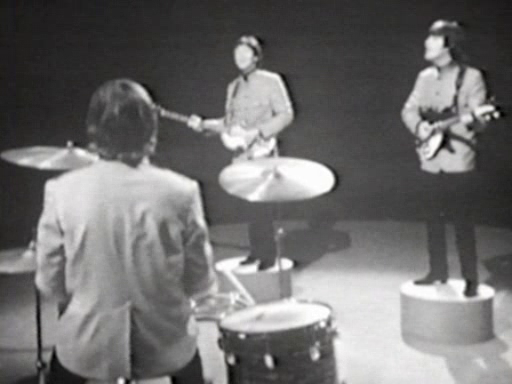 God, let’s just listen to more Beatles. Damn, I love Ringo’s drumming on this song. While that was good music, whoever scored this episode should be shot. 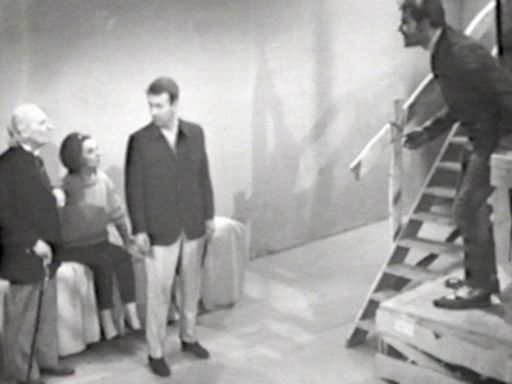 While Barbara and The Doctor are looking for Ian and Vicki to warn them, Ian and Vicki find an opening with a ladder, they head down, and having never learned from their mistakes in the past, make their presence known. After a sandstorm, The Doctor and Barbara are lost from the TARDIS, and a Dalek rises from the sand… ooo eee ooo. 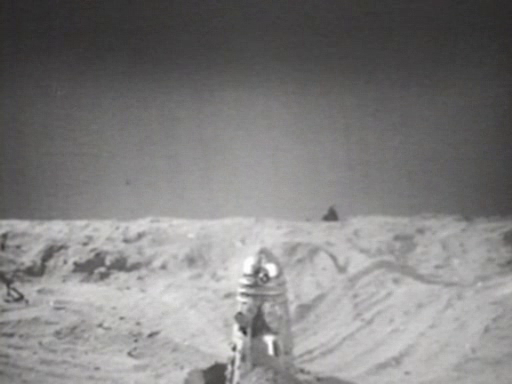 Whoever on the production team okayed Daleks in sand was an idiot. If the monsters can’t move effectively, they become a joke. So this planet was a lush ocean planet, and only two species survived, one humanoid species with gills and the squid like creatures. The humanoids are going to kill the squids. Oh my god! This soundtrack is TERRIBLE. So according to this episode, The Doctor built the TARDIS… I think he’s a liar. Again, they’re doing that horrible thing where Daleks talk amongst themselves. It doesn’t work! They’re going to New York… I was just there. This guy’s New York accent is terrible. The obnoxious Alabaminain (is that what they’re called) is apparently Peter Purves who will be a new companion as Steven Taylor in episode six. Yes! The Daleks are invading a clipper ship. I only know that term because of Guinan. Jeez, if the Daleks invade your boat, you don’t jump into the ocean, you push the Daleks into the ocean. The Doctor Who serial The Chase (1965) suggested that the arrival of time-travelling Daleks caused the terrified crew of the ship to jump overboard. It’s been a week, now onto part 4. Will I ever finish this serial? I want cereal. Oh, that’s a place to fight Daleks, in a Scooby Doo house. 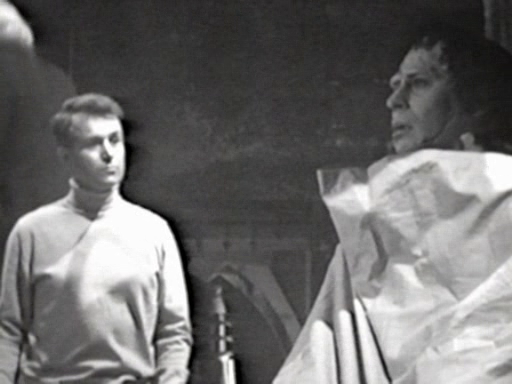 They find Frankenstein’s monster, yet behind Ian is a Dalek. They never mention it… what’s going on?!?! Oh, this time the Dalek moves, and apparently Frankenstein’s Monster is immune to Dalek weaponry. Oh, and so is Dracula. Uh oh! 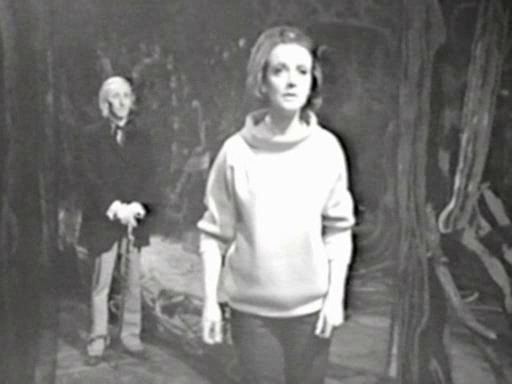 The TARDIS left Vicki in the Scooby Doo house, but she’s hitching a ride with the Dalek TARDIS which is running away from Frankenstein who took out one Dalek. It turns out it’s just a haunted house. God, more Daleks talking amongst themselves. They’re going to clone The Doctor. If Vicki was smart, she would’ve smashed the robot Doctor. 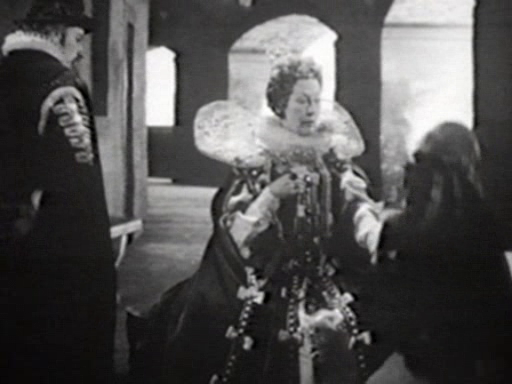 AND OMG he’s not even played by William Hartnell. Watch out Barbara! He’s a robit! They wake up. They’re surrounded. The Doctor pretends to be the robot, the Daleks see through his ruse, he runs away. They’re cornered. A door opens and the aliens say something robot-like and indecipherable. The Doctor and his companions go with the aliens. Have you noticed that we haven’t seen any life other than the robots… as if on queue out comes Steven Taylor, new companion. The Doctor now has four companions. That’s a busy TARDIS. They decide to break out of the zoo they’re captured in by lowering themselves down thousands of feet from the roof. The Mechanoid vs. Dalek battle scene is horrible. Stay awake, Adam. Only five more minutes. They’ve found the empty Dalek TARDIS, and Barbara quickly realizes that they can go home. 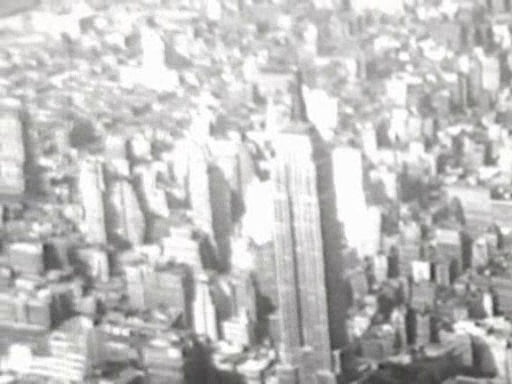 The Doctor helps them go to London in 1965, and Barbara and Ian have the cheesiest montage, ever. The Doctor is not so happy they made it safely back, because he “shall miss them.” What a selfish jackass.